Johnson & Johnson brings you the BENADRYL Picture Perfect Summer Sweepstakes at www.benadrylsummerpromo.com where they will be giving away a summer travel prize pack valued at $1,000. Visit this link:Benadrylsummerpromo.com to go to the sweepstakes page. Prizes You Could Win: One grand prize winner will receive $500 VISA Digital Prepaid Reward and $500 Airbnb Gift Code. 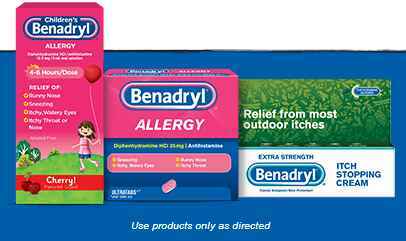 When To Enter: The BENADRYL Picture Perfect Summer Sweepstakes begins on May 15, 2018 at 12:00 a.m. Eastern Time (“ET”) and ends on September 30, 2018 at 11:59 p.m. ET. Sponsor: Johnson & Johnson Consumer Inc., McNeil Consumer Healthcare Division,7050 Camp Hill Road Fort Washington, PA19034.